Cold sores are an all-too-common problem. They can also be a surprisingly painful problem. A cold sore is definitely not going to threaten your life, but it can cause quite a bit of pain in your mouth that can last for days on end. 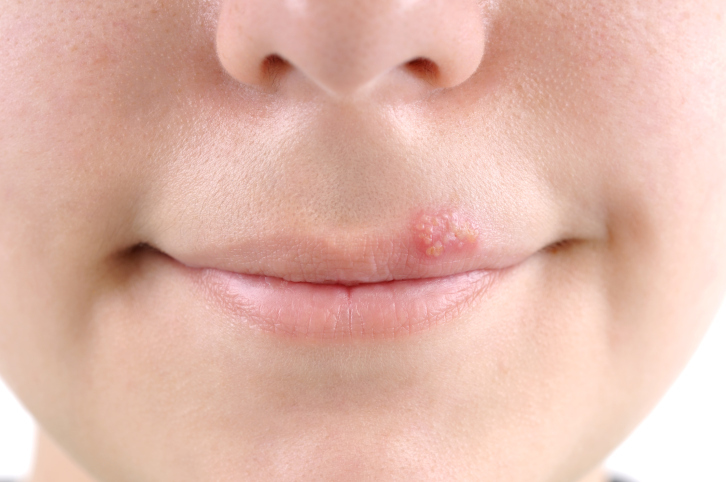 What causes a cold sore? They are triggered by the virus herpes simplex. Yes, this is the virus that also causes genital herpes, albeit of a different strain. The herpes simplex virus that causes cold sores is a magician of survival. It can live in your mouth cavity, lying dormant in your tissues almost indefinitely until the right conditions trigger an attack. Most of us have been exposed to the herpes simplex virus at some point in our lives, so the real question is not so much how to avoid the virus but how to prevent the virus from multiplying and erupting. Since the herpes simplex virus thrives when our immune systems are weak, getting a cold sore could signal that your immune system is struggling. Often cold sores show up when we have a cold or the flu, hence their name. Cold sores love respiratory infections and will often breakout while your body struggles to fight a chest infection. Bolster your immune system by eating lots of fresh fruits and vegetables which contain high amounts of antioxidants. Get some exercise. Physical activity helps to strengthen your immune system. At the outset of a cold sore, consider taking a B-complex vitamin supplement. Combine this with a vitamin C supplement, which you can take daily until the cold sore goes away. These vitamins will help to boost the function of your immune system so that it can continue to make sure that the herpes simplex virus remains dormant. One simple, but effective home remedy for a cold sore is to apply freshly squeezed lemon juice. The lemon juice will sting momentarily but is also strong enough to act as an anti-viral. Another potential cause of cold sores is exposure to strong sunshine. Radiation from the sun can damage tissues on the lips, opening the door for the herpes simplex virus to erupt out of dormancy. Wear protecting lip balm that both moisturizes the lips and protects them from harmful UV rays. Often cold sores happen when we are feeling run down. For those who have trouble with cold sores when dealing with stress, consider taking St. John’s wort to calm the body’s nervous system. There are some herbs that you can try dabbing onto the site of a cold sore to help it heal faster. Some of the best are lavender, marigold, wild indigo, and witch hazel. Make sure you are getting enough rest to help restore your body and mind to a strong and healthy place. One note of caution: cold sores are highly infectious so stay away from others until the cold sore dries up and goes back into dormancy. By following all of these tips, you should be able to keep cold sores out of your life and perpetually in a state of dormancy where they should be. Miller, J., “Ten Causes and Treatments for Cold Sores,” How Stuff Works web site; http://health.howstuffworks.com/skin-care/problems/medical/10-causes-and-treatments-for-cold-sores.htm, last accessed Jan. 5, 2014. Tse, I., “Cold Sores: Symptoms, Treatments and Prevention.” LiveScience web site, May 27, 2013; http://www.livescience.com/34715-cold-sores-symptoms-treatments-and-prevention.html, last accessed Jan. 3, 2014.